Who's the best player in the world right now? Connor McDavid led the Edmonton Oilers the league in scoring last season while winning MVP. Sidney Crosby scored the most goals and won playoff MVP for the second consecutive year in pushing the Pittsburgh Penguins to back-back Stanley Cup titles. But who is the best player in the world right now? McDavid led the Edmonton Oilers to the playoffs and the league in scoring last season while winning the Hart Trophy and Ted Lindsay Award as MVP. Crosby scored the most goals and won the Conn Smythe Trophy as playoff MVP for the second consecutive year in pushing the Pittsburgh Penguins to back-back Stanley Cup titles. "Crosby or McDavid," Columbus Blue Jackets defenceman Seth Jones said. "I think McDavid is what Crosby was when he was 20. ... Obviously they're the best two players in the world." An Associated Press survey of 30 of the NHL's top players gave the nod to Crosby. 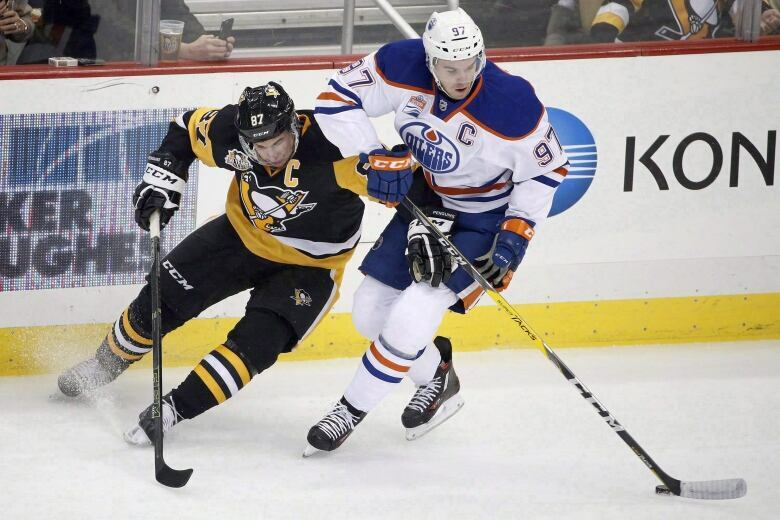 When the players were asked to pick the best player in hockey, excluding current teammates, Crosby received 21 votes, McDavid six and Ottawa Senators defenceman Erik Karlsson one. Two players couldn't choose between Crosby and McDavid and one said there were too many good choices to pick one. Winnipeg Jets centre Mark Scheifele gained more respect for Crosby during the playoffs, and he and others say the Penguins captain is the best around at making his teammates better and coming up big when it matters most. "He's proven that in big-time games in the last two years especially that he can perform," New York Rangers defenceman Kevin Shattenkirk said. 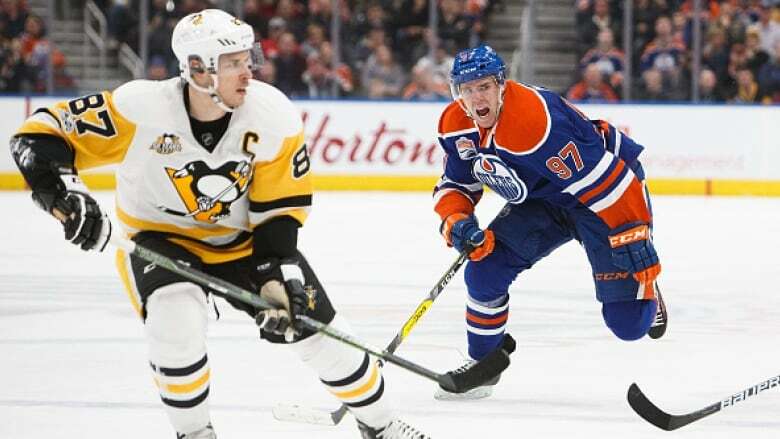 "I know a lot of people love Connor McDavid, but I think Sid is at the peak of his career and someone who has lived up to every expectation that he's been given." "His speed is such a weapon that it's insane, but no one realizes how smart he is as a player," Philadelphia Flyers defenceman Shayne Gostisbehere said. "He's thinking two or three plays ahead of everyone. It actually is amazing to see how he thinks the game and how good he is." Crosby is the best, but several players said McDavid is on the cutting edge of revolutionizing hockey. Kane said the Oilers captain's 2016-17 performance made a lot of other players train to get faster in the off-season.